The India Ruskin Bond loves does not make the headlines. But he finds it wherever he goes – in field or forest, town orvill age, mountain or desert-and in the hearts and minds of people who have given him love and affection for the better part of a life-time. 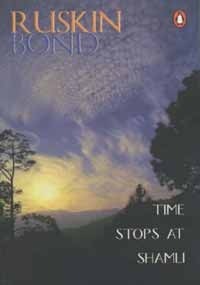 In this collection of prose and poems written specially for this book, Ruskin Bond looks back on his unique relationship with the country and its people, from the time he turned his back on the Westand came home, still, only a boy, to take up the challenge of being a writer in a changing India.